Sometimes you have to see it to believe it. Weather.com has compiled an awesome list of some of our Earth’s beautiful natural wonders. Check them out below. 1. 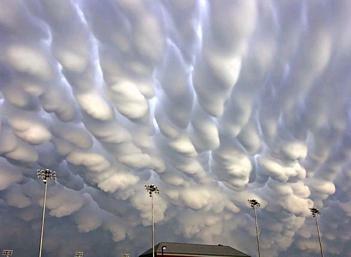 Mammatus Clouds: Pouches of clouds that hand under a base of cloud. 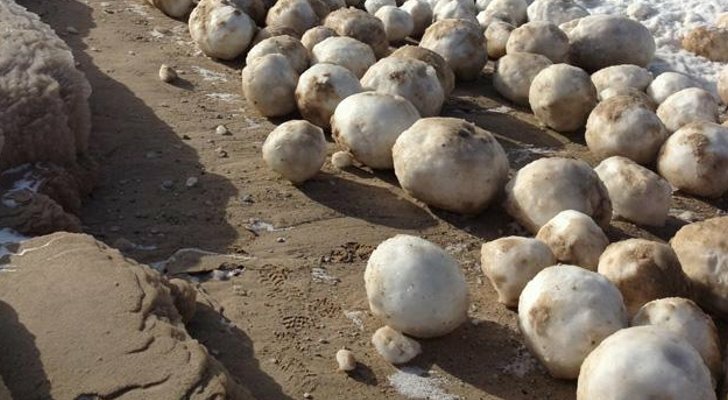 They are also described as cotton balls or tennis balls. They often appear before a strong storm rolls in. 2. Ice Boulders: Generally consisting of a combination of slush and frazil ice (the first stage of sea ice that consists of loose, needle-shaped ice crystals in water and resemble slush). They form when ice chunks along the shore get churned back and forth by the waves and grow slowly in water that is just below freezing. 3. 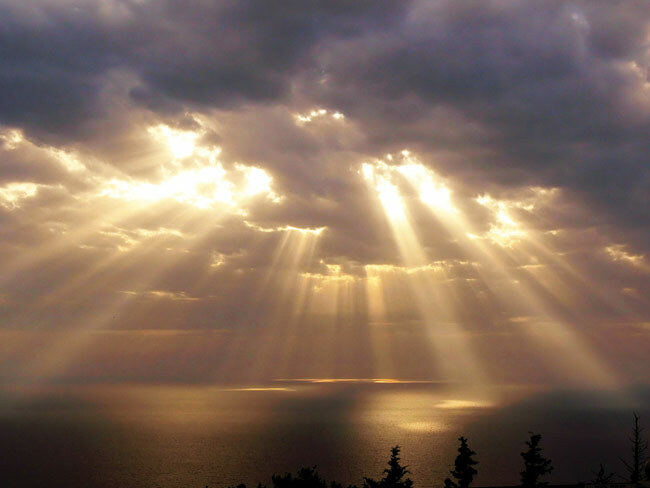 Crepuscular Rays: These beautiful rays are created by an optical illusion. Air molecules, small water drops, dust and other tiny airborne particles scatter a portion of he light rays off their straight path and toward you. You’re most likely to see this awesome view at sunrise or near sunset when the sun is closer to the horizon. 4. 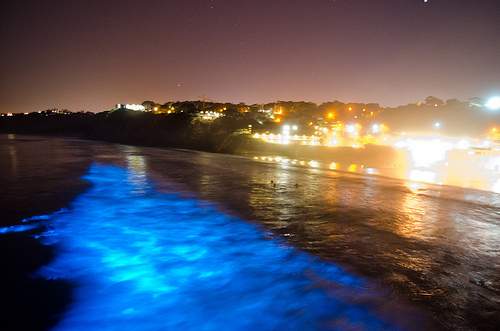 Neon Blue Waves: Late summer algea blooms can turn the ocean’s tide neon blue at night. The flashing blue light is caused by a chemical reaction in cells of the phytoplankton, which creates the algea. The agitation from the waves creates the bioluminescence or glowing quality in the algea. The algae at this time can result in mild toxicity in some sea creatures. 5. 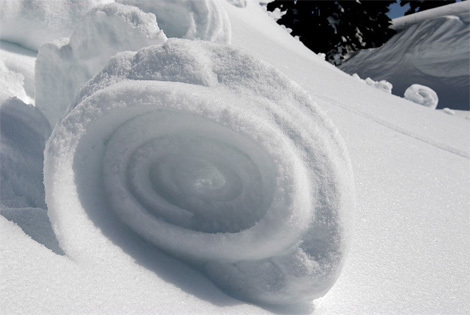 Snow Rollers: Mostly common in hilly or mountainous terrain, snow rollers are formed when strong winds pick up moist snow and blow it along the ground. The eventually leads to a cylinder or snow that is often hollow in the middle. They can grow as large as barrels and stop moving once they become too big. 6. 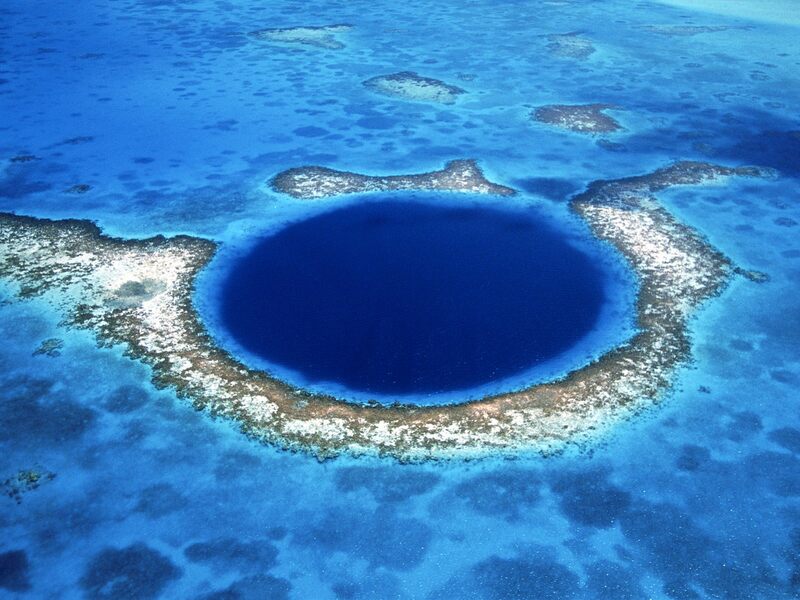 Blue Holes: Blue holes are caves or underwater sinkholes that are roughly circular, steep depressions. They are named for their dramatic contrast between the dark blue, deep waters of their depths and the light blue of the shallow waters around them. They are typically found in low-lying coastal regions. The deepest is Dean’s Hole, in a bay west of Clarence Town on Long Island, Bahamas. It is 663 feet deep! 7. Tree-climbing coats: Yup, you read that right. 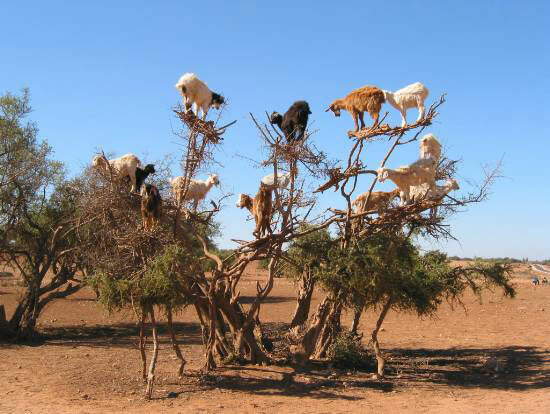 Goats climb the Argan trees of Morocco in search of food. Over time, they have become accomplished tree climbers and can claw their way up the tress twisted branches in search of olive-like berries. Farmers follow the heard from tree to tree to collect the nuts from the fruit that the goats can’t digest. These nuts are what are used in Argan oil; popular oil used in cooking and is cosmetics/hair products.